Victor George Shepheard was born on March 21, 1893, and, from an apprenticeship at H.M. Dockyard Devonport, he won one of the cadetships to the Royal Naval College, Greenwich. Shepheard graduated in 1915 and joined the Grand Fleet as an Engineer Lieutenant. Later, he was the junior member of a Board of Inquiry into heavy weather damage to the cruiser Courageous. He was brave enough to forward a minority report which indicated that her captain had claimed a lower speed and sea state than had actually pertained at the time of the damage. The Admiralty finally accepted his views. On return to Whitehall, he worked on cruiser and production problems. In 1924 while in Newcastle overseeing the building of the battleship Nelson he married Florence Wood. The marriage lasted 60 years until her death in 1984, Lady Shepheard helping him greatly in his career and socially. Shepheard was Professor of Naval Architecture at Greenwich from 1934 to 1939. He worked hard to bring the expertise of the R.C.N.C. into the design of naval aircraft, introducing aerodynamic theory into the course. 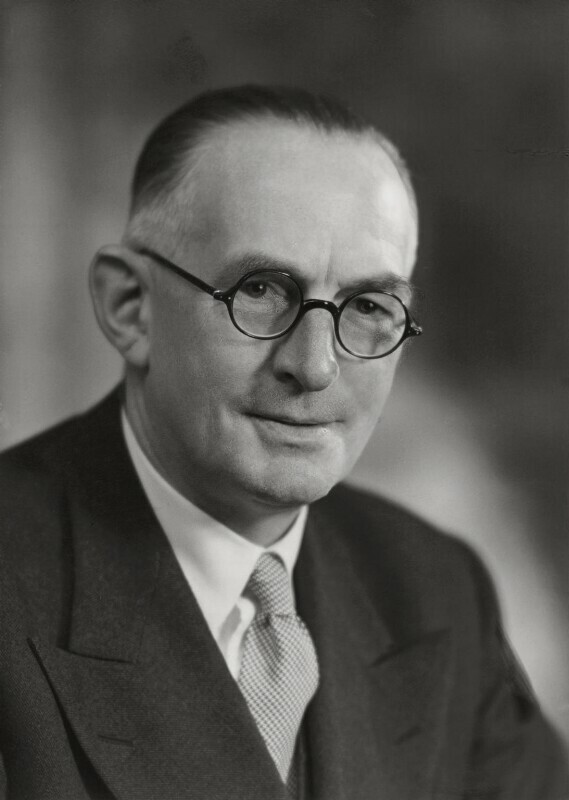 At the outbreak of war he rejoined the Director of Naval Construction’s department, now in Bath, as Chief Constructor, rising to Assistant Director in 1942 and Deputy Director, in charge of the Bath department in 1947. In 1952 he became Director of Naval Construction at a time of change when his balanced judgement was invaluable. The quiet Porpoise class submarine, the guided missile ships of the County class, the first gas turbine ships of the Tribal class and, eventually, the Dreadnought nuclear submarine programme all benefitted from his wise leadership. However, the ship of which he was most proud was the Royal Yacht Britannia, designed in 1952 when the health of King George VI began to fail. Sir Victor was a frequent visitor to the Palace as the King and other members of the Royal Family took a keen interest in the design. Sir Victor was a clear-sighted engineer and a strong manager. He could be a hard taskmaster, but his junior staff remember his kindness and forebearance. Shepheard was made C.B. in 1950 and created K.C.B. in 1954. He was also a Chevalier of the Legion d’Honneur, an acknowledgement by the French government of his wartime work on the Mulberry Harbour.